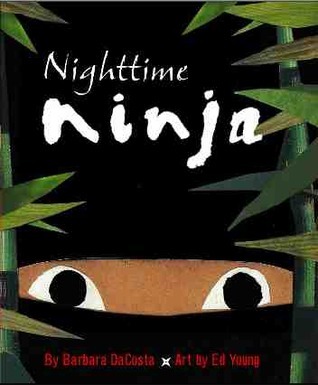 This is the book that made me decide to do a ninja themed storytime. 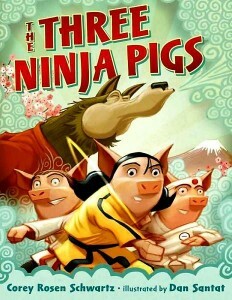 It’s a clever retelling of the Three Little Pigs, told in rhyme with bright, full page illustrations. One of the things that I especially love about this book is the use of Japanese words throughout. Great way to expand vocabulary and learn some new words! Two little ninjas, having so much fun. In this simple story, a little ninja creeps into the kitchen on his mission to procure some ice cream. However, the little ninja is thwarted by his mother and begins a new mission: to go back to bed. This book is another retelling of an old classic. 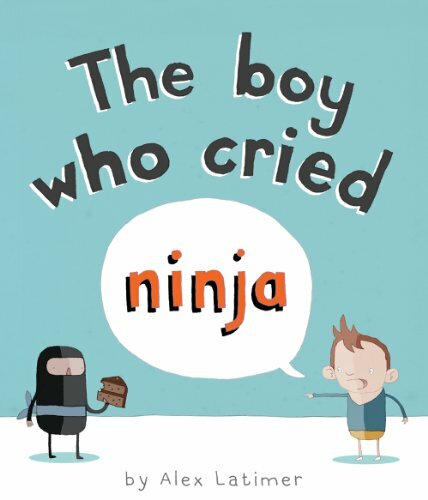 In this story, no one believes Tim when he says that a ninja ate the last slice of cake. Or when he claims that a giant squid ate his entire book bag (including his homework). In order to get his parents to believe him, he invites all the culprits (ninja, squid, pirate, etc.) over for a party. When his parents see that he wasn’t lying in the first place, he gets 100 ice cream cones. This was one of those themes that the grown-ups enjoyed just as much as the children. The kids really loved saying HIYAH (and we even had our storytime puppet, Quacky, say HIYAH at the end). The books worked really, really well, and it was overall a pretty awesome theme. LOVE “If You’re a Ninja and You Know It” am giggling like a maniac in my office. It’s like you “knew” that I was doing a ninja story time next week. Now I can “borrow” your rhymes! Love it! 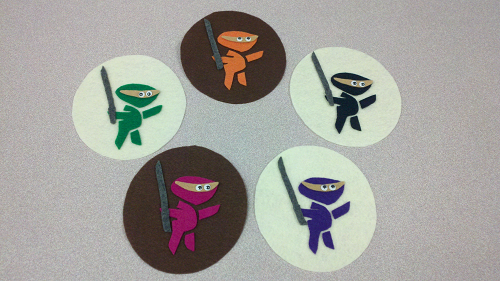 I ran across “Wink: The Ninja Who Wanted To Be Noticed” at my branch and decided I just HAD to do a Ninja theme! This will be a great help! great ninja songs! I am starting to plan a ninja storytime and these will definitely be included! thanks for sharing! I am borrowing your five little ninjas flannel boards. Thank you for sharing. Joan.